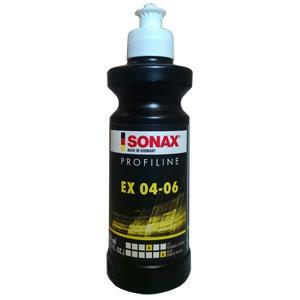 SONAX EX 04-06 is the latest formulation of medium cut, finishing polish for hologram-free results. Engineeered specifically for use with dual-action or random orbital polishers, the abrasives break down very consistently to produce the highest depth of gloss. SONAX EX 04-06 is water-based and contains no solvents, silicones or petroleum. No dust is produced during polishing which makes for easy clean up and prolongs the life of the polishing pads.